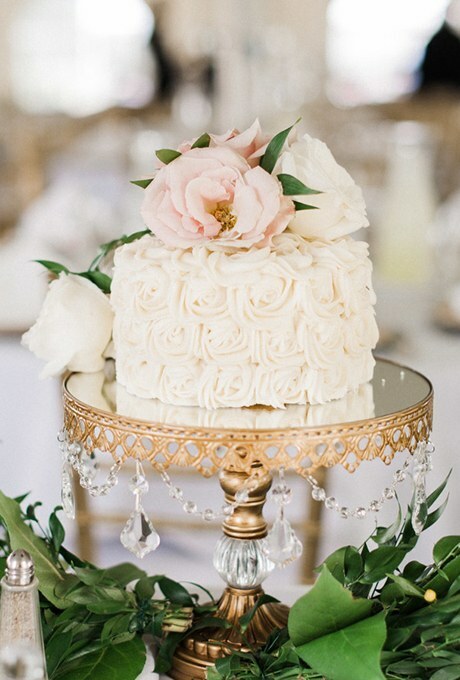 This cake is small yet elegant and perfect if you’re planning a dessert table for your reception (or if you’re having a really small reception). 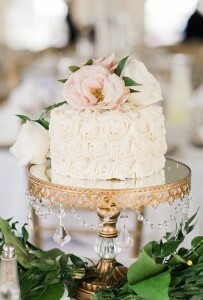 The one-tier cake features white icing that was piped to look like roses – giving the cake a super flower vibe. The elegant cake also features a few fresh roses on top, this time in light spring colors. You could always add darker roses for a different season. You can find this lovely spring cake here.